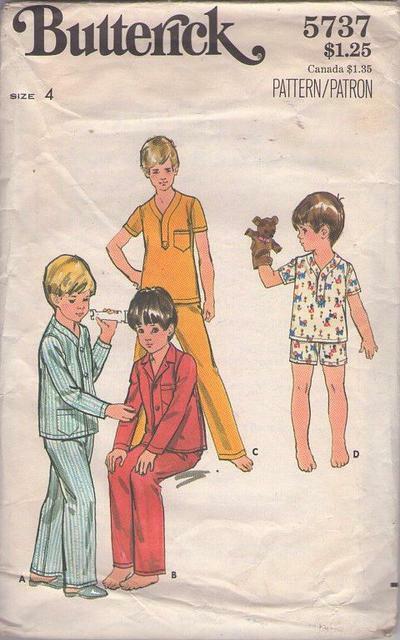 ​Bust 23", Waist 21", Hips 24"
70s Children, Retro Sleepwear Clothing Patterns - BOY'S PAJAMAS Pajama top with front button closing and full length sleeves and patch pocket. With or without notched lapel collar. Pull-over pajama top has V-neckline with banding and short sleeves. With or without patch pocket. Short or full length bottoms are elasticized at waistline. Topstitch trim.